Delicious Donut Sticks coated with a sweet glaze and perfect for dunking. 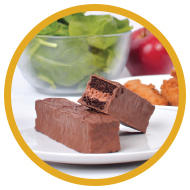 Great for use on snack carts, in cafeterias and for catering. Whole grain rich, old-fashioned gingerbread snacks complete with icing. 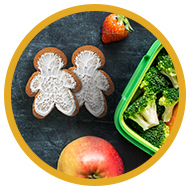 Always delicious and now Smart Snack qualified. Enjoy rich chocolate cake with decadent fudge creme coated with fudge icing. Perfect for catering, snack carts or in cafeterias. *This rebate cannot be combined with other promotional offers. 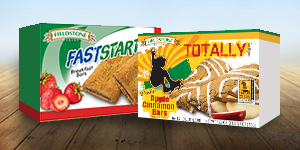 Rebate is valid for Fieldstone Bakery FastStart Bars that deliver between January 1 – 31, 2017. 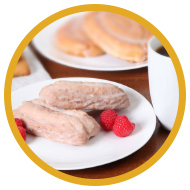 Enjoy serving Fieldstone® Bakery Products to your customers. To redeem rebate, mail in the Fieldstone® Rebate Form (click here to download), along with your W9 and proof of purchase dated January 1 – 31, 2017. 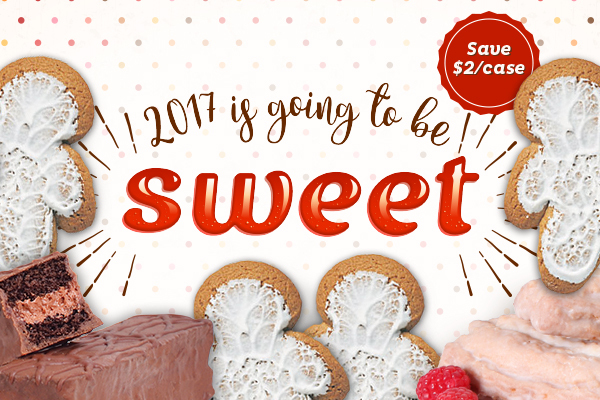 Must be postmarked by February 28, 2017. Rebate checks will be sent by March 31, 2017. Faxed or emailed requests will not be accepted. Must purchase a minimum of 10 cases to qualify for the rebate check. ** Check with your distributor to see if they are participating in this promotion. Confirm delivery dates with your distributor rep from participating distributors. *Kit includes a sample of 9 whole grain rich products, nutritional info and flyers!